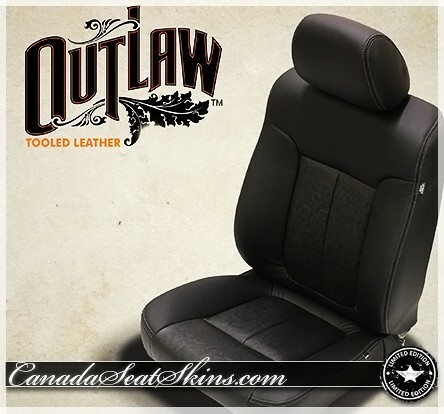 The Outlaw Limited Edition leather upholstery package for the 2009 - 2014 Ford F150 is manufactured in black with unique tooled black leather accents and (optional) accent stitching throughout. This package includes everything needed to completely replace your bland factory cloth or worn factory leather and is available in Premium leather faced or luxurious 100% genuine leather only. 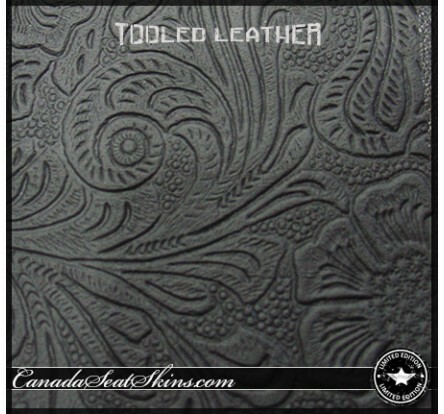 The 2009 - 2014 Ford F150 Outlaw Edition leather interior is available in Premium and 100% genuine leather trim levels with any color accent stitching. Select your model year to begin your custom configuration. A center arm rest cover is not provided (or available) for models with individual front bucket seats. These are models that can seat 2 only across the front row and have the plastic floor mounted center console. This package will not work to replace leather on models with factory cooled seats. Please call 1 855 289 5467 for assistance or to place your order by telephone. 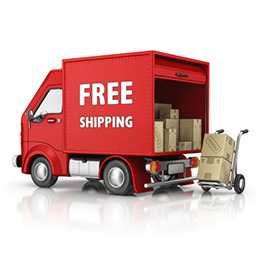 All Katzkin custom upholstery packages are manufactured to order based on your selections and as such are non returnable. A comprehensive 3 year, 36000 mile manufacturers warranty covers any defects in workmanship. Warranty registration and care instructions are included in the box.